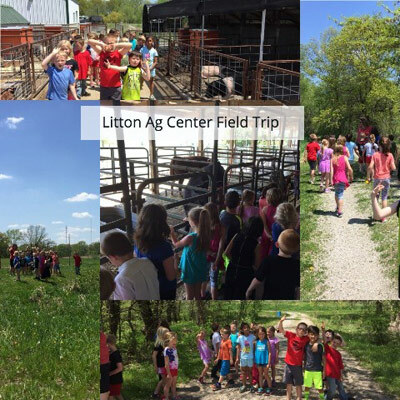 First grade students from Dewey Elementary School visited the Litton Agriculture Campus on May 7, 2018. The students were learning about plants in class and came out to get their hands a little dirty. This was made possible by the Litton Crusaders program sponsored by the Jerry Litton Family Memorial Foundation. 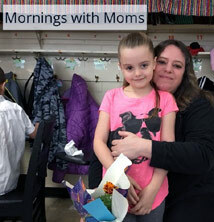 The students came to the Litton Ag Campus and walked around the farm, then took back plants to school and transplanted marigolds into pots to give to their moms for Mother's Day. The project actually began in March when the marigolds were seeded, and then the students received weekly pictures of the seeds' progress until they got to come out and transplant them into bigger pots. While on the tour of the campus, they visited the pond, saw the animals such as cattle, sheep, goats, and hogs, and enjoyed being outside for the afternoon. All of the students had a great time. On April 27, 2018, first grade students from Dewey Elementary school went on an educational trip to Indian Creek Lake. While at Indian Creek, the students participated in seven different learning stations which included: water invertebrates, Predator/Prey book and game, Nature Scavenger Hunt on a trail, learning about parts of a plant with the Litton Crusaders, checking out the fishing dock, body coverings of animals with Babe Roy, life cycle and habitat of the turkey with National Wild Turkey Federation, and observing nature with magnifying glasses on a trail. Funding for this trip was provided by the Missouri Department of Conservation Discover Nature School Grant. Wilkison - Farm Business Management; Bryce Wolf - Forestry. Grand River Technical School joined the Livingston County Farm Bureau Board in presenting the MOASK IRC certificates. The technical skills assessments are conducted much like FFA judging events, but the results are used to determine a student's proficiency and not for competitive award purposes. The program compliments the three circle model for delivering agricultural education in schools. The circles represent learning in the classroom, leadership development through the FFA and hands on training through each student's Supervised Agricultural Experience. Sponsors Missouri Farm Bureau and the Missouri Farm Bureau Foundation for Agriculture are proud to partner with DESE and take an active role in the program. County Farm Bureau leaders are responsible for verifying the rigor of each event, ensuring requirements are met and providing certificates for students deemed proficient. "Ultimately, we want to add value to the experiences our youth gain through agriculture education," said Sherry Jones. "We believe these credentials will benefit students as they pursue higher education and/or vocational training, apply for scholarships and ultimately enter the workforce. Twenty-one members of the Chillicothe FFA Trap Team competed at the 2018 Paul Larsen Memorial High School State Shoot on a beautiful Saturday, April 28. The Chillicothe A Squad consisting of Eric Davis 96, Clayton Walker 93, Peyton Hein 95, Christian Reed 85 and Mack Anderson 95 placed 2nd in the FFA Division with a Score of 464. Garrett Cramer scored a 98 and earned 3rd High Individual Junior Honors. 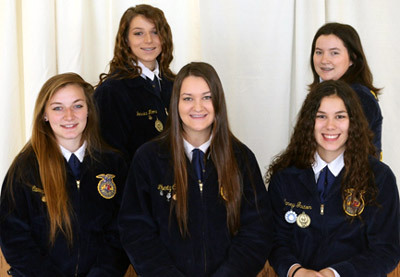 Chillicothe FFA Ladies Brooke Horton, Jessie Case, Malloree Summers, Montana Plattner and Kimberlee Roney made history as the first Ladies Squad to ever compete from Chillicothe. Team member Dakota Ferrell scored a milestone with his first 25 straight at competition. Garrett Cramer scored milestones of 50 and 75 straight during competition. Many members shot personal records. Team members not previously mentioned that competed are Trace Rardon 93, Tucker Burtch 85, Wyatt Maddux 88, Dakota Ferrell 81, Sam Meservey 82, Brock Gott, Sullevin Diegelman, Morgan Anderson, Austin Case and Drake Bradley. The Trap Coaches this year are Tony Burtch and Sarge Ralls along with FFA Advisor/Coach Randy Plattner. The Trap Team and Coaches would like to thank the parent delegation in attendance who supported them throughout the entire year! Five Senior members (Eric Davis, Christian Reed, Peyton Hein, Austin Case and Kimberlee Roney) will be graduating this year. We wish each of them continued success in their future!! The final competition of the year was held at the Missouri Trap Shooters Association Range at Linn Creek, MO. On April 19, 2018, at the Missouri State FFA Convention Liberty Cox, Cameron Moore, and Lane Peters received 1st place in their respective proficiency award areas. Colton Peel received 2nd place in his proficiency award area. Cox, Moore, and Peters will now advance to the national level and compete at the National FFA Convention in Indianapolis, IN in October 2018. Kimberlee Roney - Dairy Production-Placement - Student works in the dairy cattle industry applying the best management practices available to efficiently produce and market dairy cattle and dairy cattle products. Colton Peel - (2nd in state) - Diversified Horticulture - Entrepreneurship/Placement - Student works for someone who or owns the enterprise or business that applies the best management practices available to efficiently manage an SAE program that includes two or more of the following proficiency areas: landscape management, nursery operations, turf grass management, or the specific floricultural production or floral design and floral sales activities accepted in specialty crop production. Cameron Moore - (1st in state) - Equine Production-Entrepreneurship - Student owns an enterprise or business that provides experiences in horse production, breeding, marketing, showing and other aspects of the equine industry. Programs may also include calf roping, barrel racing, rodeo, racing, training, riding lessons and therapeutic horseback riding if horses are owned and/or managed by the member. This also includes miniature horses. Jessica Moore - Equine Production-Placement - Student works for an employer providing experience in horse production, breeding, marketing, showing and other aspects of the equine industry. Programs may also include calf roping, barrel racing, rodeo, racing, training, riding lessons and therapeutic horseback riding if horses are not owned and/or managed by the member. This also includes miniature horses (prior to 2012, formerly in specialty animal production). Laney Gaston - Grain Production-Entrepreneurship - Student owns an enterprise or business that applies the best management practices available to efficiently produce and market crops for grain production such as corn, barley (including the malting types), millet, buckwheat, oats, grain sorghum, milo, wheat, rice and rye. Grain Production does not include any of the aforementioned crops with an intended use for forage. Liberty Cox - (1st in state) - Small Animal Care and Production - Student owns the enterprise, or works for a business that includes the best management practices available to efficiently produce and market small animals such as all rabbits, cats, dogs, mice, hedgehogs, guinea pigs, lizards, small birds (such as canaries, cockatiels, cockatoos, parakeets, parrots, etc.) and programs that typically provide a service in caring for the well-being of pets. Programs could include working at a pet shop, as a groomer, as a dog trainer, providing pet sitting services, working at a kennel, or preparing guide and assistance animals. Lane Peters - (1st in state) - Specialty Animal Production - Applies the best management practices available to efficiently produce and market specialty animals within the Agriculture industry. Students in the specialty animal production proficiency area must demonstrate that they are producing and marketing specialty animals not covered in any of the existing award categories. Specialty animals can include the following: aquaculture, bees, mules, donkeys, bison, oxen, mink, worms, ostriches, pigeons, emus, alpacas or llamas. Placement experiences could include roles as a zoo worker or placement at any specialty animal facility. In their supervised work experience, students must participate in hands-on activities including feeding, inoculating, performing basic animal care, weighing, measuring, showing and possibly marketing animals in an entrepreneurial or work placement environment. Once again a successful year! This year at the 90th State FFA Convention, students participated from Chillicothe and Southwest High Schools. 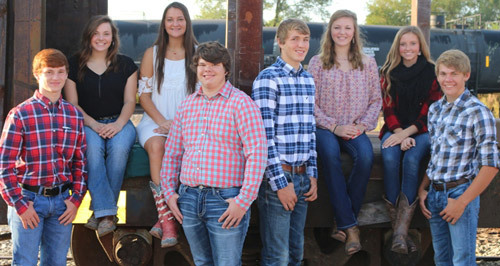 The Ag Issues team earned a group I rating; the team included Drake Bradley, Garrett Cramer, Laney Gaston, Colten Johnson, Lavery Jones, Jessica Moore, and Catey Trout. The Ag Mechanics team placed 33rd and earned a group II rating; the team included Wade Campbell, Eric Davis, Hunter Horton, and Christian Reed. The Agronomy team placed 28th and earned a group II rating; the team included Lainie Cowan, Rachel Holt, Kiley Kirkpatrick, and Montana Plattner. The Ag Sales team placed 14th and earned a group II rating; the team included Isaiah Boon, Austin Case, Liberty Cox, and Adler Marshall. In the FFA Creed Public Speaking event, Lucas Campbell received a group I individual rating. The Dairy Cattle team placed 34th and earned a group II rating; the team included Mason Baxter, Tucker Burtch, Gabby Hapes, and Julia Stimpson. In the Division I Prepared Public Speaking event Trace Rardon received a group I individual rating. In the Division II Prepared Public Speaking event Rachel Holt placed 6th and received a group I individual rating. In the Extemporaneous Public Speaking event Marley Anderson received a group I individual rating. The Farm Management team placed 29th and earned a group II rating; the team included Isaiah Boon, Kaylie Campbell, Liberty Cox, and Peyton Hein. The Knowledge team placed 9th and earned a group I rating; the team included Allison Haley, Seth Hansen, Warren Meservey, and Keagan Valbracht. The Livestock team placed 4th and earned a group I rating; the team included Sydney Baxter, Kaylee Lewis, and Maggie Pfaff. The Parliamentary Procedure team earned a group I rating. The team included Jaylyn Broyles, Jordan Hopper, Sara Hopper, Kennedie Kieffer, Meredith Oesch, McKayla Shady, and Malloree Summers. The Poultry team placed 26th and earned a group II rating; the team included Connor Keithley, Chase Neptune, Spencer Shira, and Tucker Wagers. The Chapter FFA Scrapbook Team received a group I rating the individuals that put the scrapbook together were Mack Anderson, Cameron Dudley, Macy Gutshall, Kiley Kirkpatrick, CJ Pfaff, Montana Plattner, Clayton Walker, Caroline Warren, Madelyn Wilford, Bryce Wolf. The following members received a group I individual rating in their respected contest Sydney Baxter-Livestock (10th place), Isaiah Boon-Farm Management, Seth Hansen-Knowledge, Kaylee Lewis-Livestock (6th place), and Warren Meservey-Knowledge. Seven members were recognized at the state level for proficiencies; those members were Liberty Cox, Laney Gatson, Cameron Moore, Jessica Moore, Colton Peel, Lane Peters, Kim Roney. Eighteen members received their State FFA Degree. Those members are Marley Anderson, McKenzie Anderson, Elena Boon, Isaiah Boon, Kaylie Campbell, Austin Case, Liberty Cox, Eric Davis, Gracie Ellis, Emilee Haley, Ben Hayen, Molly Jones, Adler Marshall, Cameron Moore, Lane Peters, Christian Reed, Claire Shipp, Drew Toedebusch. One individual receiving scholarship - Liberty Cox received a $1500 Youth in Ag Scholarship sponsored by the Missouri State Fair. The Chillicothe FFA Chapter placed 14th in the Chapter Activity Award. These were awards given to the top schools in the state of Missouri. There are 343 schools with agriculture programs in the state. Congratulations to all of the FFA members who participated on any contest team this year. Your hard work is a credit to each of you as individuals. COLUMBIA, MO - Chillicothe FFA placed 14th out of 343 chapters in the state, earning a Top Chapter Award at the 90th Missouri FFA Convention. Only 10 percent of state chapters receive a top chapter designation each year. Chapter activity awards, sponsored by FCS Financial, are given to chapters achieving excellence in student, chapter and community development. The Chillicothe FFA advisors are Michael Snook, Neal Wolf, Lance Martin, Randy Plattner, Jim Grozinger, AdamWolf and Leda Schreiner. 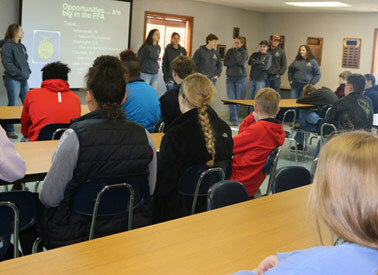 The Chillicothe FFA student development activities included the Live it Forward program. Students participated in activities such as brainstorming and planning teamwork and team building games and other activities to build life skills. The members were recognized for the year's scholarships at the chapter FFA banquet. Chapter development activities included senior members holding a recruitment opportunity for eighth-grade students. Members promoted agricultural education and gave tours of the school farm. Letters were sent to all parents of eighth graders to inform them of opportunities available through agricultural education. Community development activities included Helping Hands. Through this program, FFA members assisted the less fortunate in the community. They served food, assisted with banquets to raise money and helped with the upkeep of the facility. The top chapters compete for the National FFA Chapter Award. Winners will be announced this fall at the 91st National FFA Convention and Expo in Indianapolis. The Missouri FFA has 25,375 members representing 343 chapters. The national organization has more than 653,000 members representing 8,568 chapters in all 50 states, Puerto Rico and the U.S. Virgin Islands. The FFA makes a positive difference in the lives of students by developing their potential for premier leadership, personal growth and career success through agricultural education. During the 90th Missouri State FFA Convention the Chillicothe FFA Chapter was awarded four top honors. Those awards given to the chapter were Superior Chapter, 100% Membership, and Gold Emblem Awards. In addition to the Chillicothe FFA Chapter placing 14th out of 343 chapters in the state of Missouri, the chapter also won the following three awards. Superior Chapter Activity Award - To qualify for this award, chapters must verify that their chapter members have completed at least one activity related to each of the five quality standards established within the three divisions - Student, Chapter and Community development. The 100% Membership Award - This award is given to those chapters who have a chapter membership roster that is equal to or greater than the number of members of 9-12 students enrolled in the schools Ag Education courses. The Gold emblem award is for chapters that completed and submitted a National Chapter Application on the state level. Selection is based on major activities described in Form II of the National Chapter Activity Award Application. The top chapters are submitted to the National FFA Organization where they compete for the National FFA Chapter Award. The competition will be this fall at the National FFA Convention in Indianapolis, IN. On March 1, 2018, it was announced that 15 members of the Chillicothe FFA would be receiving their State FFA Degree in Columbia, MO, on April 20, 2018. Before receiving this degree, they had to meet a number of qualifications and fill out an application that followed their SAE and leadership skills. Chillicothe FFA had the highest number of State FFA Degrees of any chapter in the state of Missouri. 4. A student after entering agricultural education must have: (a.) earned and productively invested at least $1000; or (b.) worked at least 300 hours in excess of class time; or c. a combination thereof, in a supervised agricultural experience program. a. Performing ten procedures of parliamentary law. Those from our chapter who received the State FFA Degree include: Marley Anderson the daughter of Mark and Anne Anderson, McKenzie Anderson the daughter of John and Shellie Anderson, Elena Boon the daughter of Arte and Suzy Boon, Isaiah Boon the son of Arte and Suzy Boon, Kaylie Campbell the daughter of Vince and Rachelle Campbell, Austin Case the son of Steve and Julie Case, Liberty Cox the daughter of Joseph and Terria Cox, Eric Davis the son of Scott and Heather Davis, Gracie Ellis the daughter of Scott and Brandi Ellis, Emilee Haley the daughter of Stephen and Brenda Haley, Ben Hayen the son of Bill and Shelley Hayen, Molly Jones the daughter of Michael and Kate Jones, Adler Marshall the son of Jeff and Kim Marshall, Cameron Moore the daughter of Tammy Moore and Rusty Moore, Lane Peters the son of Maria Peters and Robby Peters, Christian Reed the son of Joe and Tonya Reed, Claire Shipp the daughter of John and Annie Shipp, Drew Toedebusch the son of Tammi Toedebusch and Kenny Toedebusch. On April 11, 2018, it was announced that 10 members of the Chillicothe FFA will be receive their Area FFA Degree, in Chillicothe, MO. Before receiving this degree, they had to meet a number of qualifications and fill out an application that followed their SAE and leadership skills. The Area FFA Degree is the highest degree that the Area II FFA Association can give to its members. 9. Have participated in at least 25 hours of community service within at least 2 different community service activities. These hours are in addition to and cannot be duplicated as paid or unpaid SAE hours. Those from our chapter who received the Area FFA Degree include: Wade Campbell the son of Clint and Kathy Campbell, Katelyn Clariday the daughter of Jonathan & Ashley Fagan and Brandon & Sarah Clariday, Elitza Crouch the daughter of Adam and Lora Crouch, Peyton Hein the son of Tim and Shannon Hein, Nathan Hoel the son of David and Stephanie Hoel, Hunter Horton the son of Brian and Amy Horton, Kimberlee Roney the daughter of John and Denese Roney, Zoe Souders the daughter of Shelly Kuhn, Taylor Wilkison the daughter of Tina Tye and Todd Wilkison, and Cole Wolf the son of Brandon and Tammy Wolf. On April 11, 2018, Chillicothe FFA members attended the Area II FFA Awards Recognition Night held at the Gary Dickinson Performing Arts Center in Chillicothe, MO. This awards recognition night is held each year to recognize members of the 28 area schools that make up the Area II FFA Association for their outstanding achievements during the year. The items for which students were recognized at the area level were as follows: fall speaking contests, FFA speaking contests, books, contests, talent, Area FFA Degree, trapshooting awards, proficiency awards, and officers. Claire Shipp, 2017-2018 Area II Reporter, and the rest of the Area II Officer team conducted the ceremony. At the conclusion of the night, Kaylee Lewis was initiated as the 2018-2019 Area II 1st Vice President. Area Proficiencies were as follows: 3rd Molly Jones Agriculture Communications; 2nd Zoe Souders Agriculture Education; 1st Kimberlee Roney Dairy Production Placement; 3rd Garrett Cramer Diversified Agriculture Production; 2nd Isaiah Boon Diversified Crop Production Entrepreneurship; 2nd Colton Peel Diversified Horticulture; 1st Cameron Moore Equine Production Entrepreneurship; 1st Jessica Moore Equine Production Placement; 3rd Lydia Martin Food Service; 1st Laney Gaston Grain Production Entrepreneurship; 1st Colton Peel Landscape Management; 3rd Jordan Hopper Poultry Production; 3rd Maggie Pfaff Sheep Production; 1st Liberty Cox Small Animal Production & Care; 1st Lane Peters Specialty Animal Production; 2nd Kaylee Lewis Swine Production Entrepreneurship; 2nd Drake Bradley Turf Grass Management; 2nd Kennedie Kieffer Vegetable Production; and 2nd Claire Shipp Veterinary Science. Area Degree recipients were: Wade Campbell, Katelyn Clariday, Elitza Crouch, Peyton Hein, Nathan Hoel, Hunter Horton, Kim Roney, Zoe Souders, Taylor Wilkison, Cole Wolf. On April 3 and April 4, 2018, the Chillicothe FFA Chapter participated in the Northwest District Ag Contest. The results are as follows: Agriculture Mechanics 4th place (state) - Wade Campbell, Eric Davis, Hunter Horton, Christian Reed, Cole Wolf (Alt); Agronomy 3rd place (state) - Lainie Cowan, Cameron Dudley (Alt), Macy Gutshall (Alt), Montana Hall (Alt), Rachel Holt, Kiley Kirkpatrick, Montana Plattner; Ag Sales 2nd - Austin Case, Adler Marshall, Isaiah Boon, Liberty Cox; Dairy Cattle 10th place (state) - Mason Baxter, Tucker Burtch, Gabby Hapes, Chandler Stedem (Alt), Julia Stimpson; Farm Management 7th place (state) - Isaiah Boon, Kaylie Campbell, Liberty Cox, Peyton Hein; Floriculture 27th place - Gabby Tiblow, Jace Hicks, Josh DeBoer, Gage Kirkland; Forestry 11th place - Olivia Cross, Luke Hopper, Josie Reeter (Alt), Madelyn Wilford, Bryce Wolf; Horses 9th place - Lydia Anderson, Madison Biswell, Jessie Case, Brooke Horton (Alt), Aundraya Shady (Alt), Gracelyn Swank; Livestock 2nd place (state) - Sydney Baxter, Kaylee Lewis, Maggie Pfaff; Meats 19th place - Dawson Wheeler, Magy Thomas, Tyler Hart (Alt), Kennedy Corzette, Alayna Mason; Poultry 1st place (state) - Connor Keithley, Chase Neptune, Sheldon Radar (Alt), Spencer Shira, Tucker Wagers; Soils 15th place - Mack Anderson, Sam Meservey, Kris Holtzclaw (Alt), Ryan Panholzer, CJ Pfaff (Alt), Clayton Walker, Caroline Warren (Alt). The teams that qualified will be participating at state contest on April 19th and 20th in Columbia, MO. The following individuals placed in the top ten in their team competitions. Seth Hansen 2nd place Knowledge, Warren Maservey 6th place Knowledge, Allison Haley 9th place Knowledge, Isaiah Boon 6th place Farm Management, Maggie Pfaff 4th place Livestock, Connor Keithley 2nd place Poultry, Tucker Wagers 7th place Poultry, Chase Neptune 9th place Poultry, Christian Reed 9th place Ag Mechanics, Liberty Cox 7th place Ag Sales, Austin Case 8th place Ag Sales, and Isaiah Boon 9th place Ag Sales. 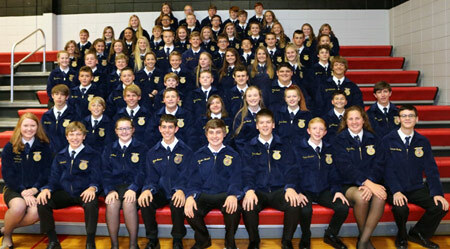 The Chillicothe FFA fielded 16 teams and 7 speakers at District Agriculture and FFA Career Development Events, and 81 Chillicothe FFA members participated in district competition. The career development events were held at Northwest Missouri State University with 313 teams consisting of nearly 1250 students from 55 different schools competing this year. Chillicothe FFA qualified 11 teams, 4 speakers, and 1 book for State FFA Convention. The convention is to be held on the campus of the University of Missouri on April 20 & 21, 2018, in Columbia, MO. On March 7 & 14, 2018, the Chillicothe FFA Chapter participated in the Area II FFA Contest. The speaking results are: Creed Speakers: Lucas Campbell - 1st and gold, Matney Waters - 2nd and gold; Prepared Public Speaking Division I Speaker: Trace Rardon - 3rd and gold, Patrick Warren - Alternate and silver; Prepared Public Speaking Division II Speakers: Madelyn Wilford - 2nd and gold, Rachel Holt - 3rd and gold; Prepared Public Speaking Advanced Division: Riley Brobst - 2nd and gold, Claire Shipp - gold; Extemporaneous Public Speaking: Marley Anderson - 1st and gold; Job Interview: Caitlyn Cothern - Alternate and silver. FFA books Completed Ownership: Drake Lightner - gold; Completed Placement: Colton Peel - 3rd and gold; Beginning Ownership: Mckenna Campbell - 3rd and gold; Beginning Placement: Kale Campbell - 3rd and gold; Scrapbook: Mack Anderson, Cameron Dudley, Macy Gutshall, Kiley Kirkpatrick, CJ Pfaff, Montana Plattner, Clayton Walker, Caroline Warren, Madelyn Wilford, and Bryce Wolf - 1st (state) and gold. Parliamentary Procedure team: Jaylyn Broyles, Jordan Hopper, Sara Hopper, Meredith Oesch, Kennedie Kieffer, McKayla Shady, and Malloree Summers - 1st and gold. Conduct of Meetings: Hannah Dominque, Mollie Ellis, Chloe Funk, Lucy Gaston, Ava Gibson, Allison Ishmael, Ella Leamer, Delaney May, Emily Pfeifer, and Maya Snyder - 2nd and gold. Those teams and individuals receiving 3rd place or higher will proceed to District competition March 27, 2018 in Cameron, MO. On March 27, 2018 the Chillicothe FFA Chapter participated in the Northwest District FFA Contest. The results are as follows: Agricultural Issues, 1st place (state) - Drake Bradley, Garrett Cramer, Laney Gaston, Colten Johnson, Lavery Jones, Jessica Moore, and Catey Trout; Parliamentary Procedure, 1st place (state) Jaylyn Broyles, Jordan Hopper, Sara Hopper, Meredith Oesch, Kennedie Kieffer, McKayla Shady, Malloree Summers; Knowledge Team 2nd place (state) - Carson Anderson (alt), Allison Haley, Colby Gillespie (alt), Seth Hansen, Warren Meservey, Keagan Valbracht; Prepared Public Speaking Division II - 1st (state) - Rachel Holt; Prepared Public Speaking Division I - 1st (state) - Trace Rardon; Creed Speaking - 2nd place (state) - Lucas Campbell; Extemporaneous Public Speaking - 2nd (state) - Marley Anderson. 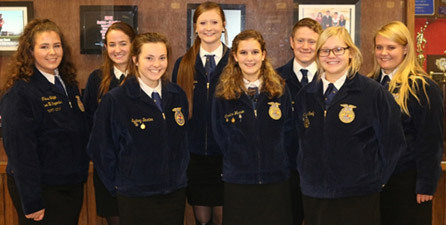 All members advancing to at the State FFA contest will compete in Columbia on April 19 & 20. On March 26, 2018, both the Chillicothe Agri-Leaders and Livingston County Farm Bureau Board hosted a few of the Chillicothe FFA members at the Litton Agriculture Education Center at their monthly meeting. The members involved were: Creed Speaker - Lucas Campbell; Prepared Public Speaking Division I Speaker - Trace Rardon; Division II - Madelyn Wilford; Division II - Rachel Clark; Advanced - Riley Brobst. Parliamentary Procedure team: Meredith Oesch, Jordan Hopper, Sara Hopper, McKayla Shady, Kennedie Kieffer, Malloree Summers, Jaylyn Broyles. Agriculture Issues team: Garrett Cramer, Laney Gaston, Colten Johnson, Lavery Jones, Jessica Moore, Catey Trout. Conduct of Meetings: Hannah Dominque, Mollie Ellis, Chloe Funk, Lucy Gaston, Ava Gibson, Allison Ishmael, Ella Leamer, Delaney May, Emily Pfeifer, Maya Snyder. On March 19, 2018, the Chillicothe Kiwanis Club hosted a few of the Chillicothe FFA members at the Senior Center for their monthly meeting. 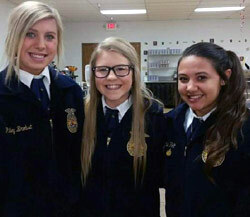 The Chillicothe FFA members involved were: Riley Brobst, Madelyn Wilford, and Rachel Holt. The students used the audience as practice for their upcoming district speech competition. Riley Brobst presented her Avanced Prepared Speech entitle "ELD's - Solution or Just Another Expense", Madelyn Wilford presented her Division II Prepared speech entitle "What's in a Label", and Rachel Holt presented her Division II Prepared speech entitle "Rural Broadband". We would like to thank the Kiwanis for the opportunity to showcase some of the Chillicothe FFA's speaking talent. 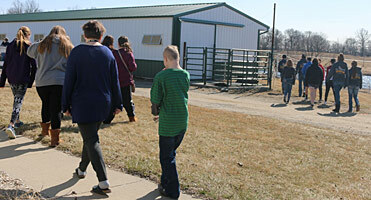 On March 12, 2018, the 8th grade students from the Chillicothe Middle School were given the opportunity to visit the Litton Agriculture Campus. The purpose of the visit was to see what the Chillicothe Ag Department and Chillicothe FFA Chapter had to offer them next year as incoming freshmen in high school. Senior members of the Chillicothe FFA gave an overview of what activities they could participate in, courses offered, and a tour of the campus. The 8th graders are beginning the class selection process for their freshmen year of high school. 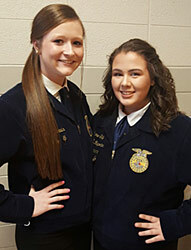 On March 7, 2018, the Chillicothe FFA Chapter sent two representatives to the Area II officer and state candidate interviews. The two representatives are Kaylee Lewis, area officer candidate, and Claire Shipp, state officer candidate. Kaylee is the daughter of Clint and Angela Lewis and was Chillicothe's representative for an Area II officer. Kaylee was selected as the Area II FFA 1st Vice President for the 2018-2019 school year. Some of the activities Kaylee will serve in an official capacity are Area Greenhand Initiation, Greenhand Motivational Conference, North Central Missouri Fair, Area Chapter Officer Institute, organizing area meetings, as well as leading the officer team. Claire is the daughter of John and Annie Shipp. She was Chillicothe's representative for Area II State Officer Candidate. Claire was selected as one of the two Area II State Officer Candidates and will attend the next round of state interviews on April 13, 2018, in Columbia, Missouri. On March 9, 2018, the Central School 4th and 5th graders hosted a few of the Chillicothe FFA members at their monthly Leadership Assembly. The Chillicothe FFA members involved were: Isaiah Boon, Elena Boon, Katelyn Clariday, Eric Davis, Gracie Ellis, Ben Hayen, Hunter Horton, Molly Jones, Cameron Moore, Konner Sewell, Claire Shipp, Drew Toedebusch, and Taylor Wilkison. The leadership class asked the FFA members to discuss the importance of leadership skills they learn in FFA. 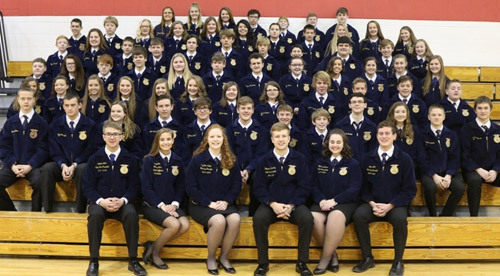 The FFA members discussed how each were talented in different ways, but when they wear their FFA jackets, they all represent the same thing - agriculture. All FFA members have grown together while learning and utilizing similar leadership skills. Some of the leadership skills include being a team player, communication, accountability, involvement, work ethic, commitment; and, as you have heard, these are just a few of the attributes. Although at times they may wear different uniforms, together they are one group of leaders when they put on their FFA jackets. We would like to thank the Litton Crusaders and Jerry Litton Family Foundation for helping make this possible. 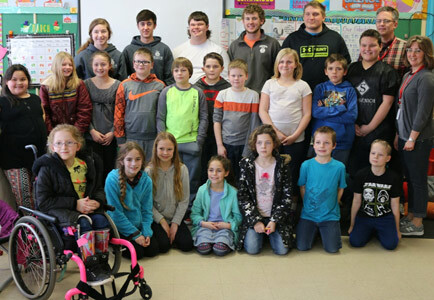 The Chillicothe FFA Chapter and Livingston County Farm Bureau held a coloring contest during National FFA Week and Thank-A-Farmer month for students in Kindergarten and First grade. Prizes were awarded to the first, second, and third place winners in each grade. The prizes were McDonalds' gift cards. 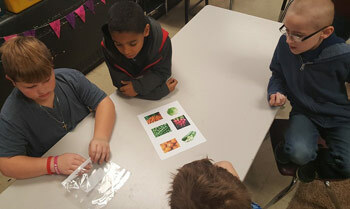 This activity was to help expose youth to agriculture. The winners were: Kindergarten - 1st Caleigh Mathews, 2nd Austin Batson, 3rd Blair Norris; First Grade - 1st Aislynn Burch, 2nd Olivia Estes, 3rd Bianca Cakranata. Congratulations to all the winners. All contestant pages will be displayed at our local banquet on May 4, 2018. 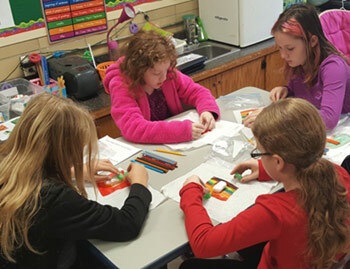 Students from Mrs. Howe's class at Central Elementary were having a hands-on learning experience on March 2, 2018. 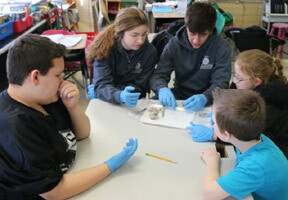 The students were learning about science with assistance from their Partners in Education - ForSight Eyecare, LLC. Dr. David Hoel and Stephanie Hoel visited the partner class once earlier in the year to have lunch with the students. Then they came back to have a fun learning experience with the students. Dr. Hoel explained the parts and functions of the eye, as well as how the eye works. 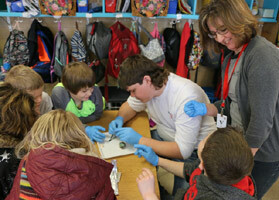 Then with the help of the Litton Crusaders, the students were able to dissect a real cattle eye. The students identified the main parts and even touch them, if they chose to do so. Mrs. Howe's class wants to thank ForSight Eyecare and Dr. and Mrs. Hoel for all their help and support. National FFA Week has come to an end. For FFA members around the country, this past week is one that many look forward to during the school year. This amazing organization continues to grow rapidly each year. This year there are approximately 649,355 members enrolled in FFA from all 50 states, Puerto Rico, and the U.S. Virgin Islands. FFA Week is the perfect opportunity for FFA students to show their community the love they have for agriculture and what FFA means to them. Throughout the years, the Chillicothe FFA Chapter has been involved in many activities; this year was no exception. On Friday, February 16th, our chapter partnered with the Chillicothe Chamber of Commerce to host the annual Appreciation Breakfast. This is an event the Chillicothe FFA does to give back to the community and show how much they mean to us. On Sunday, February 18th, our chapter attended Lifepoint Church for a morning service. Every member that attends church wore official dress. Some members read scripture and collected the offering. 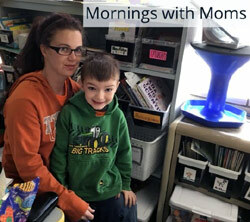 During the school week, members showed their creativity. Throughout the week, there were dress up days for members to participate in including: Camo Day, 'Merica' Day, and Official Dress Day. 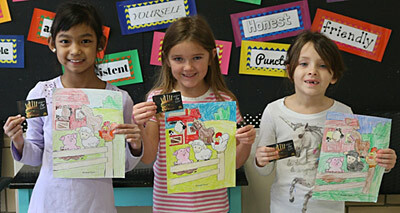 Our state FFA officer from Area 2, Mariah Fox, visited, and a coloring contest took place Dewey Elementary School. 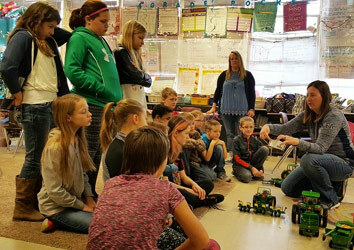 Although National FFA Week is full of exciting activities, this organization teaches today's youth about the importance of agriculture and its impact on our everyday lives. The Chillicothe FFA Chapter would like to thank all of our supporters and community members who have helped us to achieve our goals. Our FFA Chapter is very thankful for all that the community does not only during FFA Week, but year-round. Related News - New Chillicothe FFA members got their first taste of proudly being FFA members by showing the rest of the school that they now are part of FFA. 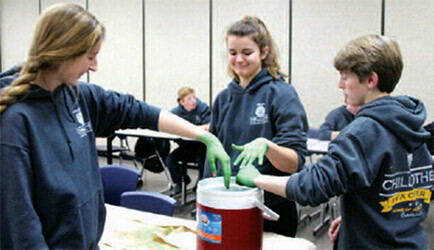 First-year members, also known as Greenhands, dyed their hands green on Tuesday at the Litton Agricultural Education Center on the Litton Agri-Science Learning Center campus. The dying of the hands was just one way these students could show that they now are part of the largest nationwide student organization. After dying their hands, the students went about their regular class schedule. 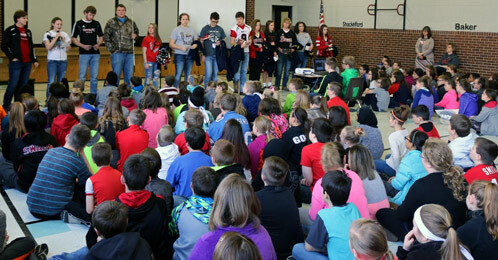 The Chillicothe FFA chapter has 79 Greenhands this year and is celebrating National FFA Week this week. Annual Parent's Night was a huge success with more than 300 guests and members attending. Freshmen were presented with their FFA jackets and their Greenhand Degrees while Sophomore members received their Chapter Degrees. 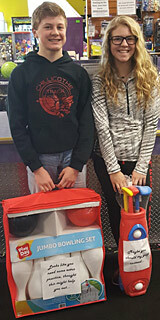 On February 4, 2018, the Chillicothe FFA held their annual Bowling Party at the Fast Lane in Chillicothe. This party represents a reward for members as well as a time for fellowship. There were approximately 73 members present, and everyone seemed to enjoy the afternoon. Students from Dewey Elementary kindergarten and first grade classes were having a hands-on learning experience on February 2, 2018. The Litton Crusaders and the Livingston County Farm Bureau made this visit possible as part of the Thank A Farmer program. The students were learning about habitats and animals with assistance from the Litton Crusaders program. 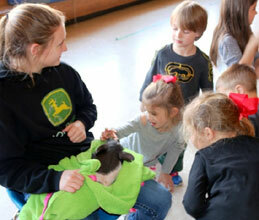 The students had the opportunity to handle a baby pig and learn a little about them from the high school students. During the visit, students learned about their pigs' gender, name (ear notch), breed, what they eat, and any other questions they came up with. Later on in the school year, the students will take a field trip out to the Litton Agriculture Campus and revisit those baby pigs as market hogs. Students from United Methodist Preschool classes were having a hands-on learning experience on February 1, 2018. 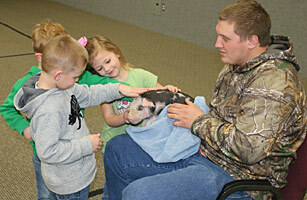 The students were learning about animals with assistance from the Litton Crusaders program. 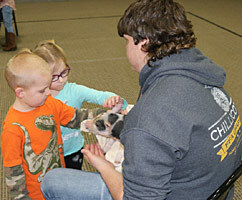 The students had the opportunity to handle baby pigs and learn a little about them from the high school students. During the visit, students learned about their pig�s gender, name (ear notch), breed, what they eat, and whatever other questions they came up with. Later on in the school year, the students will revisit one of those baby pigs as a market hog. 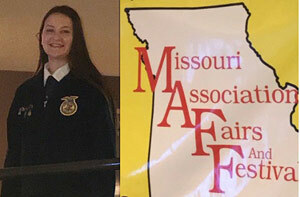 The Missouri Association of Fairs and Festivals (MAFF) Public Speaking Contest is designed to develop agricultural leadership, provide for member participation in agricultural public speaking activities, and stimulate interest in leadership and citizenship. Contestants may choose any current subject for their speeches, which is of an agricultural character relating to county fairs and which is of general interest to the public. Liberty Cox represented the Livingston County 4-H and FFA Fair at this contest held January 26, 2018, in Columbia, MO. Students from Mrs. Howe's leadership class at Central Elementary School were having a hands-on learning experience on January 26, 2018. The leadership group is the nature/agriculture group where the students get to meet once a week to learn how leadership connects with nature and agriculture. The Litton Crusaders assisted the class this week with planting, growing, harvesting, and using corn in their classroom. 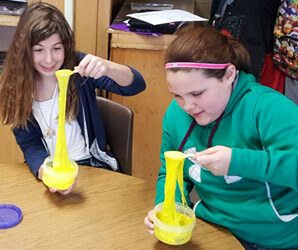 Students then enjoyed some food products made from corn and made slime to take home. The materials were provided by the Litton Crusaders program and Livingston County Farm Bureau. Later, the students will plant seeds to grow plants in their outdoor classroom at school. The students would like to thank all involved with the planting activity, as well as the Jerry Litton Family Memorial Foundation for supporting this activity through the Litton Crusaders program and the Livingston County Farm Bureau. 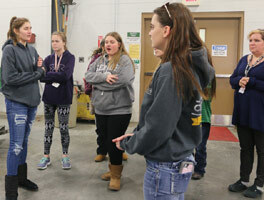 Students from the Ag Science I and Animal Science classes at the Litton Agriculture Education Center were having a hands-on learning experience at the Litton Agri-Science Learning Center during January. The students were learning about animal reproduction in class and then were experiencing the real thing in person. 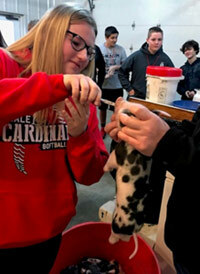 While at the Litton Ag Campus, the students gave the newborn baby pigs an iron shot, ear notched, clipped tails, and cut needle teeth. The students during first semester were in charge of charting the heat cycle, expected pregnancy date, name of sire, and day of artificial insemination for some of the sows housed at the Litton Agri-Science Learning Center. At left: Jaylynn Broyles is clipping the needle teeth of this baby pig. Missouri FFA Members "GO for the GOLD"
65 Chillicothe FFA members attended the Northwest District FFA Greenhand Motivational Conference held on the NCMC campus in Trenton, Missouri, on January 10, 2018. These members also got the opportunity to tour the Barton Ag Campus following the conference. Over 4500 first year FFA members from more than 320 Missouri High Schools had the opportunity to learn about being positive role models, learning to get involved, making sound choices, becoming active team members and making a positive difference in their lives, school and community at the annual Greenhand Motivational Conferences. 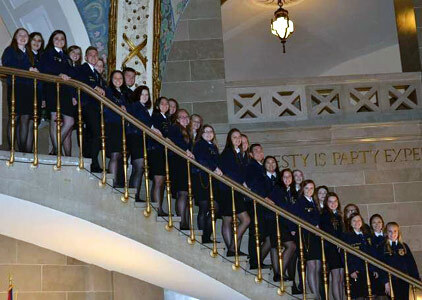 These conferences presented by the State FFA Officers and sponsored by MFA Incorporated were held January 8-12, 2018, throughout Missouri. Through interactive workshops and skits the State FFA Officers encouraged first-year FFA members to explore their talents and reach outside their comfort zone for the opportunities provided through FFA membership. They helped the new agriculture students set goals for their education, careers, and FFA experience. 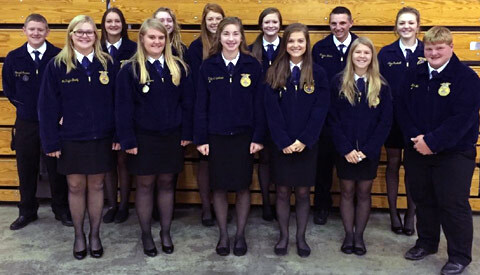 The State Officers of the Missouri FFA Association recently conducted Greenhand Motivational Conferences in Missouri. MFA Incorporated helped sponsor the conferences. Seated from left to right are: Vice President Dakota Allen, Fairfax; Past Secretary Jacqueline Janorschke, De Kalb; Vice President Elizabeth Knipp, Tipton; Vice President Ben Luebbering, Fatima; State Secretary Sydnee Mason, Marshall; and Vice President Aaron Mott, Columbia. Nearly 120 years ago, two compassionate sisters in Kansas City set out to provide the best medical care possible to all children in their community regardless of the family's ability to pay, and they knew they would need the community's support to do it. The founding sisters wrote a list of needs on a chalkboard in front of the hospital. Neighbors rallied to help, and the hospital grew. Generous communities continue to provide for our patients and their families by donating goods needed during their time in our care. Every gift to Children's Mercy is a gift of love, healing, and hope for kids in need. 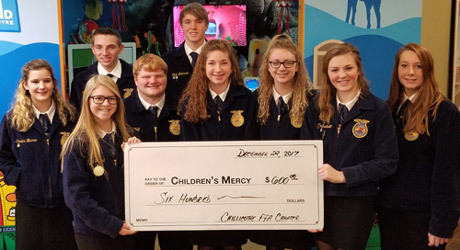 This year, the Chillicothe FFA Chapter chose to raise money to donate to Children's Mercy Hospital. Members raised $600 during their December chapter meeting to give to the hospital. 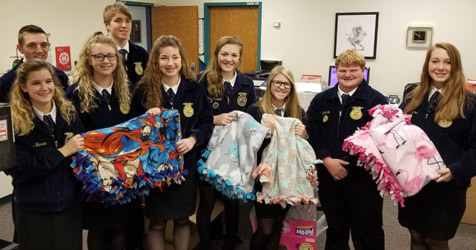 Ag Science II students made 26 fleece blankets during class for patients at the hospital. The assistant officer team took the donations to the hospital on December 22, 2017, and received a tour of the hospital. 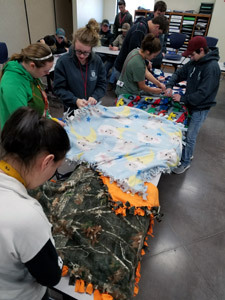 PICTURED: Students making blankets in class. On December 9, 2017, the Chillicothe FFA Chapter attended the area trapshoot held at the Trenton Trap Range. The first place overall team was the Chillicothe team. The students enjoyed the day and learned a lot about competition. The Chillicothe FFA Chapter had 4 teams/24 individuals shoot on Saturday: Wyatt Maddux-B 36, Clayton Walker A-40, Mack Anderson A-43, Garrett Cramer A-38, Peyton Hein-A 41, Christian Reed B-42, Malloree Summers B-30, Dakota Ferrell C-21, Cole Wolf C-18, Tucker Burtch D-41, Keegan Valbracht D-30, Morgan Anderson D-20, Brook Horton D-29, Austin Case C-21, Sullevin Diegelman�28, Jessie Case-14, Sam Meservey C-24, Parker Keeney D-19, Hunter Horton B-35, Eric Davis A-35, Chase Neptune D-27, Colby Gillespie B-19, Montana Plattner 10, Kim Roney 16 Randy Plattner (FFA Advisor), Tony Burtch (volunteer coach), and Sarge Ralls (volunteer coach) who traveled to Trenton. Chillicothe Team A received first place, Team B received fourth (tie), Team D received fifth, and Team C received sixth place in the team competition. Individuals with top five honors overall were 1st Mack Anderson, 2nd Christian Reed, 3rd (tie) Peyton Hein, and 3rd (tie) Tucker Burtch. Individuals with top five honors in the female division were 1st Malloree Summers and 2nd Brook Horton. The members of the team are looking forward to more events. On December 6, 2017, the Chillicothe FFA held their annual Christmas Party at the Chillicothe Middle School. This party represents a reward for members on an excellent Barnwarming this year as well as a time for fellowship. The members enjoyed dinner and then moved into the field house for some games. 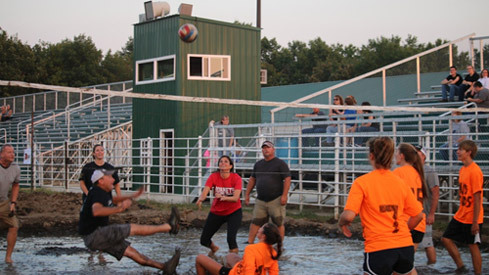 Members could play basketball, dodge ball, volleyball, or participate in other activities. 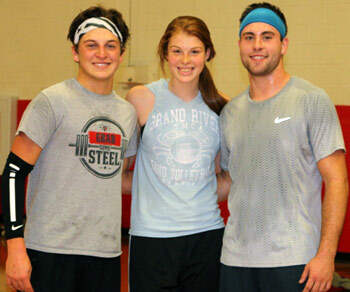 The winners of the 3-on-3 coed basketball tournament were Adler Marshall, Konner Sewell, and Kennedie Kieffer. 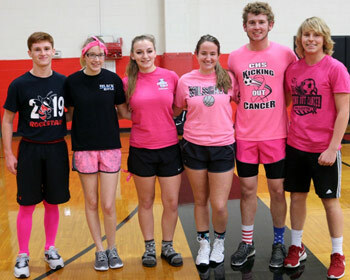 The winners of the dodge ball tournament were Hunter Horton, Lavery Jones, Cameron Moore, Lane Peters, Zoe Souders, and Drew Toedebusch. The students also held a drive to raise funds to donate to Children's Mercy Hospital. There were approximately 155 members present, and everyone seemed to enjoy the evening. The Missouri Farm Bureau Public Speaking Contest is designed to develop agricultural leadership, provide for member participation in agricultural public speaking activities, and stimulate interest in leadership and citizenship. Contestants may choose any current subject for their speeches, which is of an agricultural character relating to the general interest to the public. 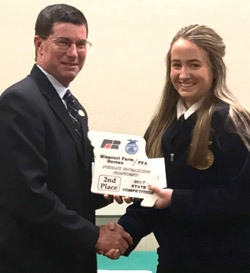 Meredith Oesch represented the Livingston County Farm Bureau at the Missouri Farm Bureau Conference contest held December 3, 2017. The contest consisted of students preparing a 6-8 minute speech on the topic of Agricultural Opportunities Abound... How Can Farm Bureau Assist and Meet the Challenges? Meredith received first place at the district level and moved on to the state competition where she placed second at state. The 2017 Missouri Sheep Producers State FFA Speaking contest was held at Tan-Tar-A Resort on Sunday, December 3, 2017. The contest is designed to develop individual public speaking skills and to promote interest in and awareness of the many different aspects of the sheep industry. Participants earned the right to compete at the state contest by winning their respective district competitions. District winners included: F Southeast - Logan Dunlap Poplar Bluff FFA, South Central - Faith Ford Rolla FFA, South Central - Sydney Parson Halfway FFA. Results of the competition were as follows: First Place - Leo Elsasser, Columbia FFA; Second Place - Kaylee Lewis, Chillicothe FFA; Third Place - Grace Henley, California FFA. Ed DeOrnellis, MSP representative, presented each of the participants a plaque and check from MSP. Students from Mrs. Howe's leadership class at Central Elementary School were having a hands-on learning experience on November 18, 2017. The leadership group is the nature/agriculture group, and the students get to meet once a week to learn how leadership connects with nature and agriculture. The Litton Crusaders assisted the class this week with parts of a seed, seeds to germinate, and seed distribution in their classroom. The materials were provided Litton Crusaders program and Livingston County Farm Bureau. Later, the students will plant seeds to grow plants in their outdoor classroom at school. The students would like to thank all involved with the planting activity, as well as the Jerry Litton Family Memorial Foundation for supporting this activity through the Litton Crusaders program and the Livingston County Farm Bureau. On November 11, 2017, the Chillicothe FFA Chapter attended the area trapshoot held at the Trenton Trap Range. The first place overall team was the Chillicothe team. The students enjoyed the day and learned a lot about competition. The Chillicothe FFA Chapter had 4 teams with 27 individuals shoot on Saturday: Wyatt Maddux-B 44, Clayton Walker A-41, Mack Anderson A-46, Garrett Cramer A-42, Peyton Hein-A 42, Christian Reed B-40, Drake Bradley B-29, Malloree Summers B-35, Brock Gott C-38, Dakota Ferrell C-33, Chandler Stedem C-22, Cole Wolf C-15, Ryan Panholzer C-22, Tucker Burtch D-36, Keegan Valbracht D-22, Morgan Anderson D-28, Brook Horton D-40, Austin Case C-32, Sullevin Diegelman-34, Jessie Case-24, Sam Meservey C-31, Parker Keeney D-22, Hunter Horton B-38. Also traveling to Trenton were Randy Plattner (FFA Advisor), Tony Burtch (volunteer coach), and Sarge Ralls (volunteer coach). Chillicothe Team A received third place, Team B received first, Team D received sixth (tie), and Team C received fourth place in the team competition. Individuals with top five honors overall were 1st - Mack Anderson and 4th - Wyatt Maddox. Individual with top five honors in the female division were 1st - Brook Horton, 2nd - Malloree Summers, and 3rd - Jessie Case. The members of the team are looking forward to more events. On October 25 through October 27, 2017, 15 members of the Chillicothe FFA Chapter attended the National FFA Convention in Indianapolis, Indiana. The students were involved in many events while they were in Indiana. The students attended leadership sessions, the career show, and the college fair while in the Convention Center. Students also attended a session where speaker Layla Ali, a retired professional boxer, gave a presentation. 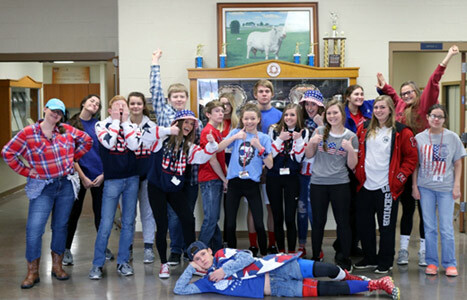 Students also attended a concert featuring Run Away Jude and Rascal Flatts, presented the flag for the National Anthem at Cinch World's Toughest Rodeo, attended a hypnotist show with Dr. Jim Wand, and toured the Indianapolis Motor Speedway. 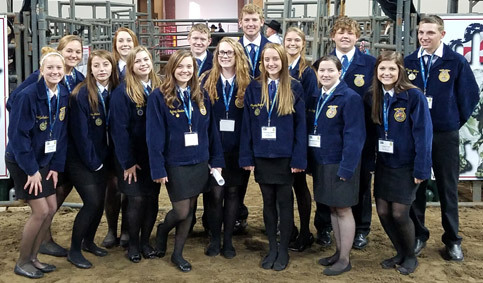 Local members who attended the convention were Catey Trout, Sydney Baxter, Lanie Cowan, Courtney Jensen, Caitlyn Cothern, Sara Hopper, Montana Plattner, Jessica Moore, Kimberly Roney, Elitza Crouch, krystalynn Peel, Drake Lightner, Hunter Horton, Garrett Crammer, and Clayton Walker. October 25, 2017 - 6,800 people were sitting in the dimly lit Indianapolis Farmer's Life Coliseum as nervous teenagers carry a massive ribbon into the center of the dark arena. The lights brighten, the National Anthem begins, and they all, simultaneously, make one movement backwards, unveiling the American Flag across the entire arena. Everyone is standing; and it is truly an amazing moment for those teenagers and breathtaking for the audience. Those members were from the Chillicothe FFA Chapter, and their lives had just been changed forever. 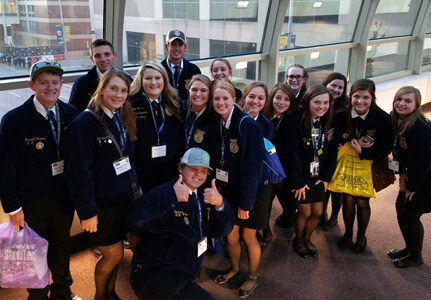 The 90th National FFA Convention, held October 25-28 in Indianapolis, Indiana, was attended by 15 of the local Chillicothe FFA members. Participants from the Chillicothe chapter included Sydney Baxter, Caitlyn Cothern, Lainie Cowan, Garrett Cramer, Elitza Crouch, Sara Hopper, Hunter Horton, Courtney Jessen, Drake Lightner, Jessica Moore, Krystalyn Peel, Montana Plattner, Kimberlee Roney, Catey Trout, and Clayton Walker. These members went through an intensive selection process, including a written application, an interview, and a member vote along with a participation point transcript. While at Convention, these members were given the opportunity to be a part of the National FFA Convention Courtesy Corps and had the opportunity to present our American flag in the Indianapolis Farmer's Life Coliseum. Our members were one group, of only three, given the opportunity to present the flag. Our FFA chapter values patriotism and teaches its members to portray these values in public. The National FFA Courtesy Corps gives members the opportunity to express their patriotic values while at National Convention. Advisors Neal Wolf and Randy Plattner attended and supervised this year's convention's participants and worked with officials in charge of the National Convention Courtesy Corps to give chapter members this opportunity. Member Sydney Baxter said, "What a great honor to be able to represent both our chapter and country while in front of thousands of FFA members." All members who attended agree with Baxter on this and we're honored to be able to participate in the display of the American flag. Advisor Randy Plattner said, "It is a great opportunity to be able to put our students in the spotlight of National Convention and to display their patriotism that our chapter works to instill in its members." Chillicothe FFA members were all positively impacted by this event and are currently encouraging other members to apply for national convention and understand the value of participating in the National Convention Courtesy Corps. On November 1, 2017, Chillicothe FFA students participated in the Area II Fall Speaking Contest in Gallatin. Meredith Oesch competed in the Missouri Farm Bureau Contest, Garrett Cramer competed in the Missouri Pork Producers Contest, Malloree Summers competed in the Missouri Institute of Cooperatives, Claire Shipp competed in the Missouri Teach Ag, Sydney Baxter competed in the Missouri Soil and Water Conservation, McKayla Shady competed in the Missouri Cattleman�s, Kaylee Lewis competed in the Missouri Sheep Producers, and Caroline Warren competed in the Missouri Young Farmers speech contest. Meredith, Malloree, Claire, Kaylee, Caroline and Garrett moved on to the district competition on November 8, 2017. On November 8, 2017, Chillicothe FFA students participated in the Northwest District Fall Speaking Contest in Cameron. 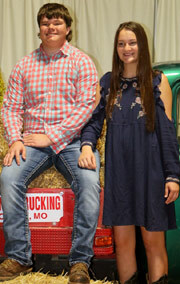 Meredith Oesch competed in the Missouri Farm Bureau Contest, Garrett Cramer competed in the Missouri Pork Producers Contest and was selected as alternate to state. Malloree Summers competed in the Missouri Institute of Cooperatives, Claire Shipp competed in the Missouri Teach Ag, Kaylee Lewis competed in the Missouri Sheep Producers, and Caroline Warren competed in the Missouri Young Farmers speech contest. Meredith received first place in the Young Farmers competition and will compete at the state level on December 3, 2017 in Lake Ozark, MO. Kaylee received first place in the Missouri Sheep Producers competition and will compete at the state level on December 3, 2017 in Lake Ozark, MO. On Saturday November 4, 2017, the Chillicothe FFA held its annual Barnwarming festivities. These festivities included a dance, games, and the coronation ceremony. This year's 2017 Barnwarming King and Queen are seniors Lane Peters and Liberty Cox. The Senior Class candidates Liberty Cox (Jeff and Terria Cox) and Lane Peters (Maria Peters and Kendall Whittmore) raised $12,171.12 with an average of $338.09/person; the Junior Class candidates Sydney Baxter (Shane and Kathy Baxter) and Lavery Jones (Michael and Nikki Jones) raised $12,574.00 with an average of $292.42; the Freshman Class candidates Gabby Hapes (Travis and Ashley Burton) and Mason Baxter (Shane and Kathy Baxter) raised $16,891.62 with an average of $213.82; the Sophomore Class candidates Macy Gutshall (Bill and Angie Gutshall) and Mack Anderson (Mark and Anne Anderson) raised $6,048.07 with an average of $118.59. Back L to R - Lane Peters, Liberty Cox; Front L to R - Lavery Jones, Sydney Baxter, Mason Baxter, Gabby Hapes, Macy Gutshall, Mack Anderson. Backdrop was a 1950 GMC on loan from Lawrence Hinnen of Hinnen Hauling. The chapter raised $47,684.81 this year for the chapter's operations that averaged out to $228.16 per member. We would like to thank all the members of the community for the long- time support of our organization. 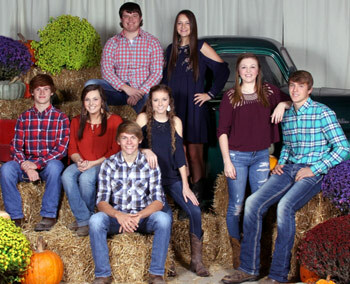 September 25, 2017 - The Chillicothe FFA has selected its King and Queen Candidates for the 2017 Barnwarming. 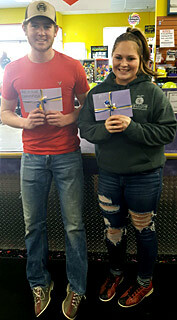 These individuals will lead the charge in the fund raising efforts of the Chillicothe FFA members. The FFA members are now available to do your odd jobs around the house and farm. Give them a call, and they will organize a work team to help you in your fall cleanup activities. The class that averages the most money per member will have their candidates crowned King and Queen on November 4, 2017, at the annual Barnwarming Dance. The candidates are as follows: Seniors, Liberty Cox (Jeff and Terria Cox) and Lane Peters (Maria Peters and Kendall Whittmore); Juniors, Sydney Baxter (Shane and Kathy Baxter) and Lavery Jones (Michael and Nikki Jones); Sophomores, Macy Gutshall (Bill and Angie Gutshall) and Mack Anderson (Mark and Anne Anderson); Freshmen, Gabby Hapes (Travis and Ashley Burton) and Mason Baxter (Shane and Kathy Baxter). The chapter has set a goal to raise $25,000 this year for chapter operations. If you have any type of job, please give an FFA member a call or call one of the advisors at the Litton Agriculture Campus at 660-646-3131. In order to qualify for a state or national award, your chapter must complete at least 15 activities: one for each of the five quality standards in each of the three divisions. Additionally, the chapter must meet the minimum requirements as outlined in the National Quality Chapter Standards. Chapters that receive a gold rating by their state FFA associations are eligible to compete for National FFA 3-star, 2-star or 1-star ratings. Each chapter that competes for these awards will receive a multi-year plaque and a spur designating their 3-star, 2-star or 1-star rating. They will receive additional spurs for each year they compete and receive a rating from the National FFA Organization. Chapters that receive a national 3-star chapter rating will be eligible to compete for the chapters that receive a national 3-star chapter rating will be eligible to compete for the National Premier Chapter Awards, Models of Excellence and Middle School Models of Excellence Awards. Chapters that received star ratings during judging July 23-28 and were recognized at the 2017 National FFA Convention & Expo, Oct. 25-28 in Indianapolis. All star FFA chapters receive honors made possible by corporate sponsor John Deere. "Feeding some 9 billion people by mid-century brings with it unprecedented challenges for today�s farmers," said Amy Allen, manager, national corporate contributions for John Deere. "The skills and experiences learned though the National Chapter Award Program will help meet the critical needs." Indianapolis, IN - Each year, the National FFA Organization honors FFA members who show the utmost dedication to the organization through their desire to develop their potential for premier leadership, personal growth and career success through agricultural education. The American FFA Degree is bestowed up on a select group of students in recognition of their years of academic and professional excellence. This year, 4,0680 American Degrees will be awarded. Lane Bonderer son of Chris and Janet Bonderer, Erin Campbell daughter of Angie Campbell and the late Jarret Campbell, Joseph Circo son of Allen & Michelle Anderson and Joe Circo, Helena McNamee daughter of Larry and Amanda Spainhour, Rachel Nowland daughter of David and Nancy Nowland, Victoria Overton daughter of Paul Overton and Steve & Sherri Palmer, Robert Parkey son of Mike and Becky Parkey, Colby Reed son of Joe and Tonya Reed, Margaret Resor daughter of Mike and Julie Resor, Colton Webb son of Bill and Laurie Webb received the American FFA Degree at the 90th National FFA Convention in Indianapolis on Saturday, October 28, 2017. It is the highest degree awarded by the National FFA Organization only given to 1% of FFA membership and recognizes demonstrated leadership abilities and outstanding achievements in agricultural business, production, processing and service programs. 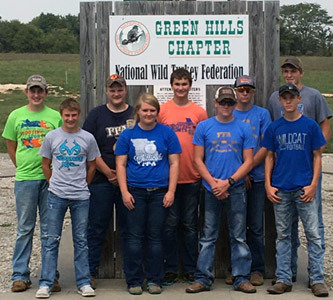 On October 14, 2017, the Chillicothe FFA Chapter attended the area trapshoot held at the Trenton Trap Range. The first place overall team was the Chillicothe team. The students enjoyed the day and learned a lot about competition. The Chillicothe FFA Chapter had 4 teams/27 individuals shoot on Saturday; Wyatt Maddux-B 49,Eric Davis-A 48, Clayton Walker A-42, Mack Anderson A-43, Garrett Cramer A-44, Peyton Hein-A 44, Garrett Donoho A-42, Christian Reed B-44, Drake Bradley B-38, Colby Gillespie B-39, Malloree Summers B-26, Brock Gott C-43, Dakota Ferrell C-34, Chandler Stedem C-23, Cole Wolf C-21, Ryan Panholzer C-22, Chase Neptune D-33, Tucker Burtch D-40, Keegan Valbracht D-37, Morgan Anderson D-31, Trace Rardon D-44, Trent Norman B-39, Brook Horton D-31, Austin Case C-29, Sullevin Diegelman�25, Jessie Case-23, Montana Plattner-21, Randy Plattner (FFA Advisor), Tony Burtch (volunteer coach), and Sarge Ralls (volunteer coach) that traveled to Trenton. Chillicothe Team A received first place, Team B received second, Team D received fifth, and Team C received tenth place (tie) in the team competition. Individuals with top five honors were 1st - Wyatt Maddux, 2nd - Eric Davis (3-way tie). The members of the team are looking forward to more events. On October 11, 2017, 67 Greenhands of the Chillicothe FFA Chapter attended the Area II Greenhand Initiation ceremony in Gallatin, MO. The Area II officer team, which includes Reporter Claire Shipp of the Chillicothe FFA Chapter, conducted the initiation. 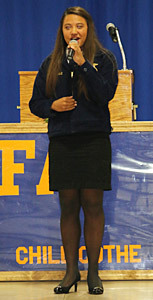 During the initiation, the Greenhands listened to the 2016 Area Creed speaker, Rachel Holt (Chillicothe), recite the creed, watched a slideshow featuring Area II Greenhands, listened to State FFA 1st Vice President, Mariah Fox, speak, and were presented their Greenhand pins during the Greenhand Ceremony. Students from Pre-Kindergarten classes at Garrison Elementary School were having a hands-on learning experience at Papa Charlie's Pumpkin Patch on October 6, 2017. The students learn about agriculture in the classroom through their regular curriculum and assistance from the Litton Crusaders program. During the school year students will learn all about animals on the farm, crops grown on the farm, and what farmers provide to the general population. 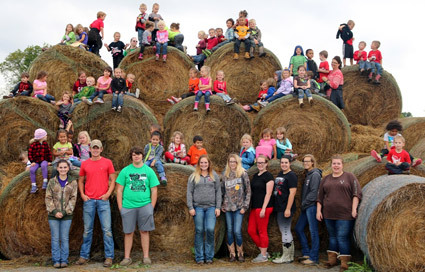 As part of the Litton Crusaders program students got the opportunity to go to Papa Charlie's Pumpkin Patch for a farm experience with a little fun mixed in. The students got to pet several animals in the petting zoo, visit with "Romeo" the donkey, see some Longhorn cattle in their nature habitat, walk through a corn field, shoot a pumpkin cannon, and get up close to hay bales. All in all, the kids had a fun day and would like to thank the Livingston County Farm Bureau and the Jerry Litton Family Memorial Foundation for supporting this activity through the Litton Crusaders program. Students from all the Kindergarten classes (126 students) at Dewey Elementary School were having a hands-on learning experience at Papa Charlie's Pumpkin Patch on October 11, 2017. The students learn about agriculture in the classroom through their regular curriculum and assistance from the Litton Crusaders program. During the school year students will learn all about animals on the farm, crops grown on the farm, and what farmers provide to the general population. As part of the Litton Crusaders program students got the opportunity to go to Papa Charlie's Pumpkin Patch for a farm experience with a little fun mixed in. High school students (16 students) from the Litton Agriculture Education Center assisted in the days' activities. The students got to pet several animals in the petting zoo, visit with "Curly" the pig, see some Longhorn cattle in their nature habitat, walk through a corn field, take a hayride, pedal a tractor, and get up close to hay bales. All in all, the kids had a fun day and would like to thank the Jerry Litton Family Memorial Foundation for supporting this activity through the Litton Crusaders program. On October 3, 2017, members of the Chillicothe FFA Chapter attended the Jerry Litton Lecture Series held at the Monsanto Auditorium in the Christopher S. Bond Life Sciences Center on the University of Missouri campus. The lecture series is part of CAFNR's Jerry Litton Fund for Agricultural Leadership designed to expand the entrepreneurial potential of students. The fund brings interesting speakers to campus, supports faculty activities, and assists students through scholarships. The fund was endowed in 2010 by the Jerry Litton Family Memorial Foundation. 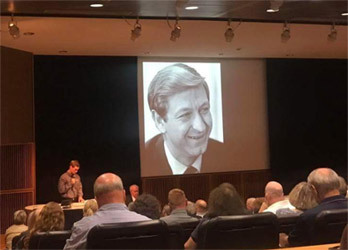 The series brought Dr. Peter H. Raven, President Emeritus Missouri Botanical Garden, to speak to faculty, staff, students, and community members. Dr. Raven spoke on "Global Sustainability: How to Achieve It." The Chillicothe FFA members would like to thank the Jerry Litton Family Memorial Foundation and CAFNR for the opportunity to attend the lecture. On October 4, 2017, the Chillicothe FFA held their annual Parents' Night with 374 members and guests attending. This event welcomes the first year FFA members and their parents to our organization and showcases some of our members' talents. The evening began with FFA opening ceremonies followed by a motivating welcome given by Claire Shipp, Chillicothe FFA President, as well as a school district welcome given by Dr. Roger Barnes, Chillicothe R-II School Superintendent. The Chillicothe FFA Chapter officers and Chillicothe FFA Assistant Officers presented the program. The program consisted of the Greenhand FFA Degree ceremony, Chapter FFA Degree ceremony, a Chapter Degree speech, a creed, as well as five (5) creeds presented by Greenhands. The creed was presented by Carson Anderson, Mason Baxter, Madison Biswell, Tucker Burtch, Lucas Campbell, McKenna Campbell, Jessie Case, Braden Constant, Hannah Dominique, Mollie Ellis, Chloe Funk, Allison Haley, Seth Hansen, Gabby Hapes, Conner Keithely, Matt Kelchen, Ella Leamer, Spencer Mattsin, Warren Meservy, Chase Neptune, Samual Pauley, Sheldon Rader, Trace Rardon, Aundraya Shady, Spencer Shira, Chandler Stedem, Keegan Valbracht, Tucker Wagers, Patrick Warren, Matney Waters. The Chapter Degree speech was presented by Macy Gutshall and the creed by Rachel Holt. On September 22, 2017, students from the Litton Agriculture Education Center attended the 2017 "Old-Time Harvest Days" sponsored by The Livingston County Steam & Gas Association held at the Litton Agriculture Campus. 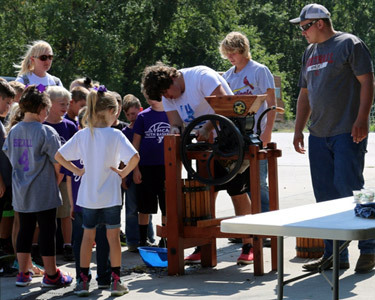 Students could take part in several historical agriculture events such as apple cider making, butter making, hay thrashing, rope making, corn shelling, and many other educational activities. By attending this event, students see how some of the "simple" things of today did not use to be so simple. The students, as part of the Litton Crusaders program, assisted in some of the various working demonstrations assisting the other 520 Livingston County youth who were attending the Old-Time Harvest Days. On September 16, 2017, the Chillicothe FFA Chapter attended the area trapshoot held at the Trenton Trap Range. The first place overall team was the Chillicothe team. The students enjoyed the day and learned a lot about competition. The Chillicothe FFA Chapter had 4 teams/21 individuals shoot on Saturday, including, Eric Davis A-47, Clayton Walker A-46, Mack Anderson A-46, Garrett Cramer A-45, Peyton Hein A-41, Garrett Donoho A-40, Christian Reed B-45, Drake Bradley B-35, Colby Gillespie B-33, Malloree Summers B-26, Sam Meservey C-39, Brock Gott C-35, Dakota Ferrell C-30, Chandler Stedem C-27, Cole Wolf C-27, Ryan Panholzer C-20, Chase Neptune D-42, Tucker Burtch D-42, Keegan Valbracht D-32, Morgan Anderson D-30, Parker Keeney D-28, Randy Plattner (FFA Advisor), Tony Burtch (volunteer coach), and Sarge Ralls (volunteer coach) who traveled to Trenton. Chillicothe Team A received first place, Team D fourth place, Team C fifth, and Team B tenth in the team competition. The top five individual honors went to Chillicothe FFA members 1st Eric Davis, 2nd Clayton Walker, 2nd Peyton Hein, 4th Garrett Cramer, 4th Christian Reed. The members of the team are looking forward to more events. On September 14, 2017, students from the Ag Management and Agronomy classes at the Litton Agriculture Campus attended the MU Hundley-Whaley Research Center Agriscience Day in Albany, MO. The students had the opportunity to visit 19 learning stations which included: Fire Safety, Computers on the Farm, Soil Pit Demo, Drones for Ag Use, Fistulated Cow, Scouting Corn &amp; Soybeans, Precision Ag, Preparing for College, Sport Turf Management, Selecting Forages, Highway Patrol Demo, Soil Erosion Demo, Cover Crops, Training Dogs for Farm Use. Over 350 FFA students, advisors, MU Specialists, and staff were in attendance. We would like to thank the Hundley-Whaley Research Center staff for making this day possible. 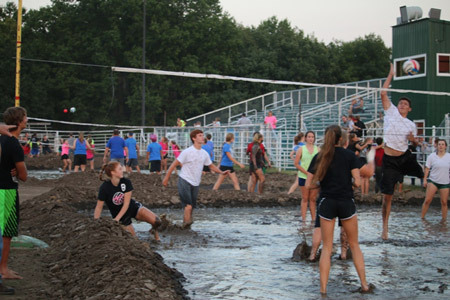 On September 13, 2017, the Chillicothe FFA Chapter held its fourth annual Mud Volleyball Tournament. 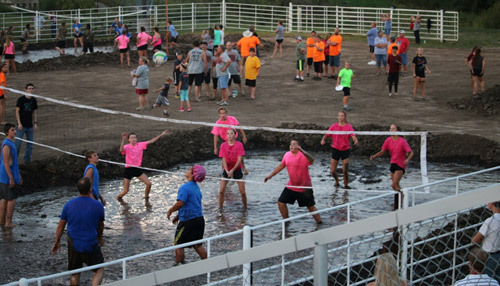 The tournament consisted of 28 teams with a double elimination event. There were 330 members and spectators present at the tournament with pork burgers and chips provided for everyone. The team members consisted of FFA members, FFA Alumni, parents, and staff. The tournament was held to encourage a fun atmosphere for freshman members to become more acquainted with upperclassmen as well as to fuel a little friendly competition. 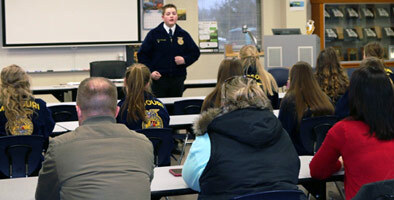 A freshman parent meeting was also held to assist parents who child is joining FFA. This year members decided to assist their fellow FFA members who have been affected by the hurricane. The following local businesses sponsored a pit during the tournament: Trans ova Genetics, Farm Bureau Insurance Joe Neptune, BTC Bank, FCS Financial Mitzi Winder Crop Agent, Sydenstricker John Deere Chillicothe, and T&R Soil Services. Each team also paid an entry fee to play. All proceeds from the event will go to FFA Chapters affected by Hurricane Harvey. The tournament raised $1100 for those chapters in need. This year's winning team was the Junior Parents - Jamy Brown, Ryan Brobst, Mandy Gatson, Jason Kieffer, Kim Kieffer, Tony Lightner, Justin Pfaff, and Chris Trout. The second place team was the Senior Parents - Arte Boon, Clint Campbell, Steve Case, Heather Davis, Scott Davis, and Jeff Marshall. The members would also like to thank the parents who helped prepare food and the parents and staff who participated in the tournament. 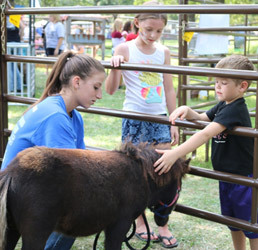 Again this year, the Chillicothe FFA Chapter sponsored the petting zoo at the Chautauqua in the Park; this was our 15th year participating in the Chautauqua. Our FFA Chapter took this opportunity to share information with community members about agriculture. 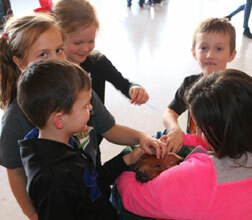 Approximately 85 members assisted with the petting zoo, which is enjoyable for people of all ages! The petting zoo contained of all sorts of animals such as a calf, puppies, rabbits, pigs, sheep, goats, chickens, kittens and horses. 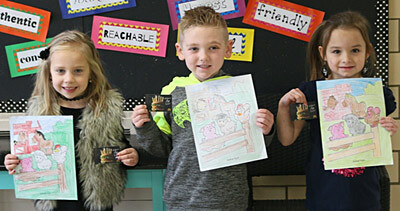 This year, the Chillicothe FFA Chapter also provided a coloring contest for the local youth. Prizes were given to each youth who completed the contest. Winners included: Pre-K and under division Dominique Massey, Kindergarten-2nd grade division Tyler, and 3rd-6th grade division Kaylee Flowers. Congratulations to all the winners. We would like to thank our local supporters: Chillicothe Orscheln's Farm and Home for the use of the gates, the Livingston County Farm Bureau who assisted with the coloring contest, signs, and hand sanitizer, and Sydenstricker of Chillicothe for providing prizes for the scavenger hunt. Thanks to all of the individuals who visited the Chillicothe FFA Chautauqua Petting Zoo! On July 9-10, 2017, the Chillicothe FFA Officer teams held their annual officer retreat - this year at Mozingo Lake in Maryville, Missouri. The retreat focused on activities planning, communication skills, teamwork, and leadership. The officer teams set goals, planned activities for the chapter, worked on team building skills, and had a little fun. The officers had some time on the lake as well. When the work was done, the officers enjoyed swimming at the lake, having some good fun around the campfire, and participating in the MOERA obstacle course. MOERA is designed to develop climbing skills, leadership development, self-esteem, and empowerment activities. All in all, the officers enjoyed their time together and have some new and fun events planned for the year. 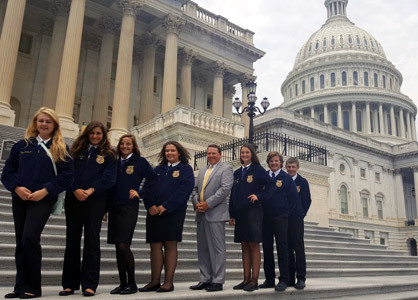 Thousands of FFA members from throughout the country are converging on Washington, D.C., this summer to evaluate their personal skills and interests, develop leadership talent, and create service plans that will make a difference in their communities. More than 2,300 students registered for the 2017 Washington Leadership Conference, the second-largest student experience that the National FFA Organization hosts each year. Created in 1969 and held annually, the conference begins June 6 at the Omni Shoreham Hotel. FFA members attend the conference during one of seven weeks through July 29. They spend the week under the guidance of professionals, counselors, and FFA staff. In workshops, seminars, and small groups, members focus on identifying and developing their personal strengths and goals while undergoing comprehensive leadership training that will help them guide their local FFA chapters. The capstone of the event is a civic engagement activity where participants apply what they have learned to a hands-on activity. Members also analyze the needs of their communities, develop wide-ranging and high-impact community service initiatives, and implement their plans with the help of their FFA chapters upon return home. Students in recent years have promoted agricultural literacy; brought attention to abuse; collected and distributed shoes to individuals in Haiti; created a hunger awareness plan; and more. FFA members experience the history of the nation's capital and tour landmarks including the Washington Monument, War Memorial, the National Mall, Arlington National Cemetery and the U.S. Capitol, among others. Members also have an opportunity to participate in congressional visits during the week. The 2017 Washington Leadership Conference is sponsored by title sponsors CSX, Monsanto, Farm Credit and weekly sponsor Valent. For more information, visit FFA.org/WLC. Chillicothe FFA members who attended the conference this year were: Marley Anderson, McKenzie Anderson, Elena Boon, Isaiah Boon, Austin Case, Liberty Cox, and Claire Shipp. As well as the other activities students participated in, they also met with Sam Graves, US Representative, and received a tour from his staff. Garrett Cramer of the Chillicothe FFA Chapter was one of the 24 students representing 20 area high schools receiving hands-on lessons June 20-22 in the ever-changing world of precision agriculture technologies when Northwest Missouri State University hosted the second annual AgriVision Equipment Precision Agriculture Summer Academy. "The AgriVision Equipment Precision Agriculture Summer Academy is a great example of how the agricultural industry and the University can come together to promote profession-based learning experiences," Rod Barr, the director of Northwest's School of Agricultural Sciences, said. "The students and teachers who participated in the academy are better able to understand the impact of technology on agriculture due to the support of AgriVision.�"
Northwest faculty and AgriVision staff lead the instruction as students explore the use of global positioning systems (GPS), auto-guidance technology, precision application, remote sensing, geographic information systems and data collection management. Students are selected for the summer academy on the basis of an application and reference letters. Participating students have completed their sophomore or junior years of high school and are active members of a 4-H club or FFA chapter. High school agriculture educators from schools of the selected students also participate. 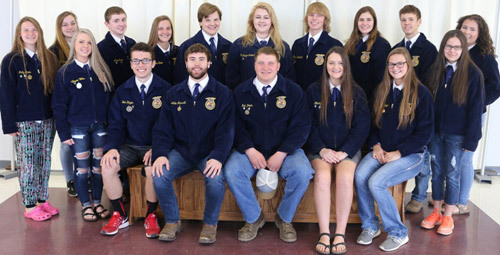 Thirty high school seniors from across Missouri completed the third annual Helping Youth Prepare for Excellence (HYPE) FFA Academy June 27-29, in Columbia, Missouri. 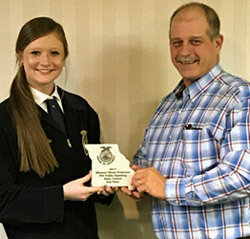 Chillicothe FFA member Liberty Cox was selected to attend the three-day academy designed to inform and empower agriculture students to effectively engage in today's issues. It was sponsored by the Missouri Corn Merchandising Council and hosted by the College of Agriculture, Food and Natural Resources at the University of Missouri. "The young people involved in agriculture are our future," noted Missouri Corn board member Gary Porter of Mercer who shared his farm story and the importance of being involved during an industry panel. "We must give them every advantage possible and the knowledge we have accumulated over the years to help them, and the industry as a whole be successful. Having three sons active in agriculture and coming back to the farm, I especially know how big of an impact these FFA members will have on Missouri agriculture." 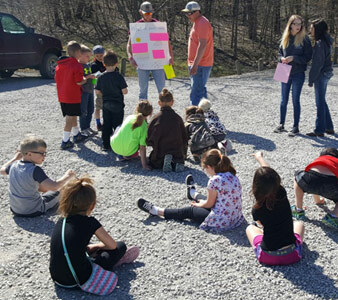 Students learned how to effectively talk about their experiences in farming, overcome obstacles and develop their communication and personal skills. Learning sessions included advocacy training, communication basics and social media outreach. Students heard from farmers, industry representatives, bloggers and Congressman Jason Smith on how to effectively advocate on issues. The group also toured the University's Bradford Farm to learn more about advancements in crop production and research for a stronger agriculture future. Wrapping up the academy, participants put their skills into action during mock legislative hearings at the Missouri State Capitol. Students presented on key issues to Missouri Sens. Brian Munzlinger and Caleb Rowden and State Reps. Rusty Black, Bill Reiboldt, Jay Houghton, Joshua Peters and Tracy McCreery. Students also had a chance to meet with Missouri Director of Agriculture Chris Chinn. "Being part of the HYPE Academy will help not only me but my community," said HYPE participant Drew Ryan Smith of Appleton City. "In the past, we haven't been the boldest when it comes to advocacy. I'd like to take the social media, legislative and communication skills I learned and share them with fellow FFA members, community members and local farmers. More people need to be involved to successfully tell agriculture's story." The Missouri Corn Merchandising Council is an organization of corn growers dedicated to developing and expanding corn markets, educating growers and customers and exploring new research opportunities. Kaiser, MO - Lainie Cowan, Montana Plattner, and Cole Wolf, members from the Chillicothe FFA Chapter, attended the 5th Annual HYMAX Academy from June 9-11, 2017. HYMAX, sponsored by the Missouri FFA Association, was held at Camp Rising Sun located within the Lake of the Ozarks State Park. The academy provids extensive leadership training for 100 high school students who are members of FFA across Missouri every year. The high school sophomore students were selected out of many applicants to attend this Agricultural Advocacy Academy and were trained by MO state FFA officers, past MO state FFA officers, agricultural educators, Teach Ag Ed Ambassadors, and MO FFA state staff. Students learn how to advocate for agriculture, strengthen their Supervised Agricultural Experience, and develop their communication and personal leadership skills. 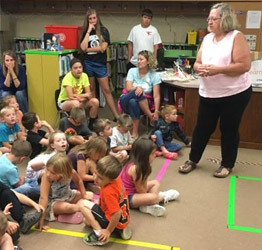 On June 26, 2017, the Livingston County Farm Bureau went to the visit the Kindergarten summer school class (approximately 47 students) at Dewey School in honor of National Dairy Month. 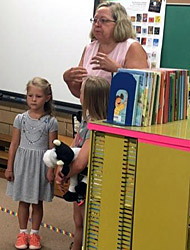 Suzi Beck, Livingston County Farm Bureau Board member, spoke with the students and discussed what products are made from milk and where milk comes from. Through the generosity of the Livingston Farm Bureau, the students then enjoyed an ice cream sandwich. 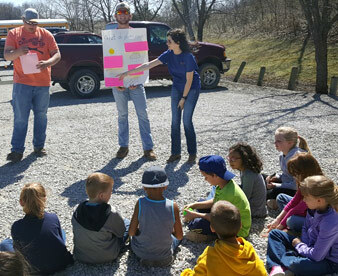 This activity was to help educate youth about agriculture. Kaiser, MO - 14 members from the Chillicothe FFA Chapter attended the State FFA Leadership Camp from June 12-16, 2017. 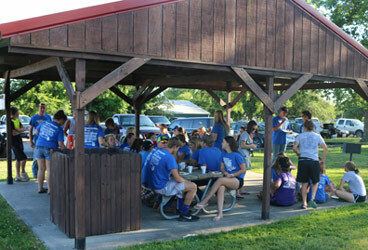 The camp sponsored by the Missouri FFA Association was held at Camp Rising Sun located within the Lake of the Ozarks State Park. The Institute provided leadership training for over 1200 high school students who are members of FFA across Missouri. The high school students are trained by State FFA officers as well as a Leadership Director who is a past State FFA Officer. Students learn how to overcome obstacles and develop their communication and personal skills. The Chillicothe FFA Chapter results are as follows: State FFA Leadership Medal recipients Rebecca Allred, Caitlyn Cothern, Cameron Dudley, Kennedie Kieffer, Montana Plattner, McKayla Shady, Malloree Summers, Gabrielle Tiblow, Caroline Warren, Madelyn Wilford, Cole Wolf; Chillicothe FFA placed 1st in the FFA Rituals contest; Creed Speaking 1st place Caroline Warren, 3rd place Montana Plattner; Impromptu Speaking 2nd place Montana Plattner; FFA Knowledge 1st place (tie) Montana Plattner; All Around Camper Cole Wolf. The National FFA Organization makes a positive difference in the lives of students by developing their potential for premier leadership, personal growth, and career success through agricultural education. Nationally there are over 500,000 FFA members. Missouri ranks 4th in the nation with over 25,000 FFA members. On June 8, 2017, the Chillicothe FFA Chapter members met for their June FFA Meeting. The meeting was held at the Mudcat's baseball game held at Shaffer Park. The 65 members in attendance held a tailgate before the game then enjoyed watching the Mudcat's win their home game. 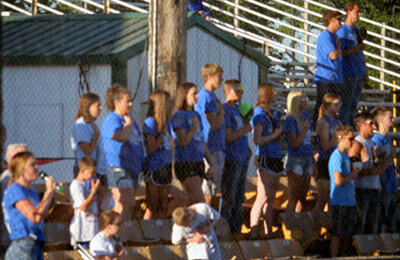 Chillicothe FFA President Claire Shipp threw out the first pitch of the game, and Assistant 1st Vice President Macy Gutshall sang the national anthem. The purpose of the June FFA meeting was to promote fellowship among the members. Chillicothe FFA Officer Teams attend the LEAD conference on May 31, 2017. Over 1200 local Chapter FFA officers, 24 advisors, and 156 chapter officers attended the annual LEAD training. The LEAD (Learn, Educate, Advance, and Develop) training is designed to help prepare each officer team for their term of service for the 2017-2018 school year. 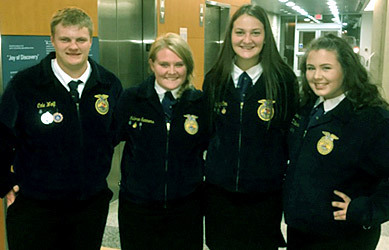 The officers were provided team-building and bonding opportunities, the opportunity to increase their knowledge about advocating for agriculture and agricultural education, work on their chapters Program of Activities, guidelines for leading a chapter meeting, and help with planning an FFA event. They also had the opportunity to attend breakout sessions on leading a meeting, planning events, and more in depth knowledge on advocating. The choice to become active team members and make a positive difference in the lives of local FFA members, school and community was evident at each site. These conferences are sponsored by the Missouri FFA Leadership Fund. The facilitators consisted of past state officers and they were divided into a north and a south team. The trainings were held at 8 different locations throughout the state. Through interactive workshops the facilitators encouraged the officer teams to reach outside their comfort zone to provide leadership opportunities for their local chapters. On May 30, 2017, youth from Livingston County began their work at the Litton Agri-Science Learning Center. The Litton Agri-Science Learning Center was designed for the youth of Livingston County to learn more about agriculture as well as house their 4-H and FFA projects. In exchange for housing their projects there, the youth assist in the care and maintenance of the Litton Ag Campus. Local youth sign a contract that states they will provide care for their animal and help maintain the Litton Ag Campus grounds. In exchange, they are allowed to use the facilities and livestock equipment. In the picture above, local youth are going over their contracts and learning what duties are expected of them. Most of the livestock will be housed at the Litton Ag Campus from early April to late August. 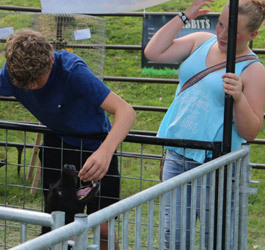 This allows the youth to participate in local, state, and national livestock shows. This year at the Litton Agriculture Campus, there are 46 market hogs, 2 market lambs, 2 market goats, 2 breeding goats, and 7 cattle owned by 37 Livingston County youth. On May 13 and 14, 2017, the Litton Agriculture Campus - MW Jenkins Expo Building - hosted three swine shows and three lamb shows. There were approximately 1030 head of hogs shown during the two-day event and 290 head of lambs. You may click on this photo to see a closer view. On Saturday morning, the Wolf Showpig Bonanza was sponsored by the Chillicothe FFA Alumni with 456 head of hogs at this show. The sponsors were Platinum Sponsor - Show Stock Outfitters; Gold Sponsors - American Family Insurance (JR Reid Agent, Concordia, Sweet Springs, and Sedelia), BTC Bank, Chillicothe Area Chamber of Commerce, Farm Bureau Insurance (Joe Neptune), FCS Financial Group (Mitzi Winder), GFG Ag Services, Grand River Technical School, Graves Cattle Company (Preston, Sam, and Beau Ann Graves), Hutchinson & Company, Investors Community Bank, RALCO Show Feed/ MFA Agri-Services, Sydenstricker John Deere - Chillicothe, Trans Ova Genetics, Wolf Brothers, Wolf Farms, Woodworth Manufacturing; Silver Sponsors - Barnes Baker Motors, Boon Farms, Chillicothe Animal Hospital, Chillicothe State Bank, Copeland Development & Construction, DQ Precision Planting & Tillage, Farmers Electric Cooperative, Remington and Riggin Isaacs; Bronze Sponsors - Butterfield & Associates Grain, Inc., Chuck's Pest Control, Curtis Show Pigs, Price & Johnson Insurance, Russ & Sheila Thompson, T&R Soil Service. Supreme Gilt went to Mackenzie Mawson, Reserve Supreme Gilt went to Brady Adams, 3rd Overall Gilt went to Cole Gutshall, 4th Overall Gilt went to Brady Adams, and 5th Overall Gilt went to Cody Birt. Supreme Barrow went to Brooklyn Adams, Reserve Supreme Barrow went to Austin Clithero, 3rd Overall Barrow went to McKenzie Mawson, 4th Overall Barrow went to Cole Murphy, and 5th Overall Barrow went to Brooklyn Adams. Champion Novice Showmanship went to Truman Wilson, Reserve Novice Showmanship went to Ty Murphy, Runner-up Novice Showmanship went to Tate Mikus, 4th Runner-up Novice Showmanship went to Riggin Isaacs, 5th Runner-up Novice Showmanship went to Waylon Nolting; Champion Junior Showmanship went to Tyne Wilson, Reserve Junior Showmanship went to Remington Isaacs, Runner-up Junior Showmanship went to Megan Bottcher, 4th Runner-up Junior Showmanship went to Maci Johnson, 5th Runner-up Junior Showmanship went to Pacey Cope; Champion Intermediate Showmanship went to Cole Murphy, Reserve Intermediate Showmanship went to Tate Welch, Runner-up Intermediate Showmanship went to Rachel Grimes, 4th Runner-up Intermediate Showmanship went to Payden Nolting, 5th Runner-up Intermediate Showmanship went to Ella Johnson; Champion Senior Showmanship went to Zach Trout, and Reserve Senior Showmanship went to Kaylee Lewis, and Runner-up Senior Showmanship went to Taylar Cope, 4th Runner-up Senior Showmanship went to Bridget Carson, and 5th Runner-up Senior Showmanship went to Cole Gutshall. The Crossroads Classic hosted one swine show and one lamb show on Sunday, May 14, 2017, and had 336 head of swine and 85 head of lambs. The Princeton FFA Jackpot Show hosted one swine show on Sunday, May 14, 2017, with 336 head of swine. The two lamb shows - Missouri Club Lamb Futurity (approximately 93 head) and the Youth Lamb Show (approximately 134 head) - were held on May 13, 2017, sponsored by the Missouri Lamb Breeders Associations.